If you agreed to serve on a nonprofit board of directors because of comments such as these, you are in for a shock. In actuality, you are required to always be educated and informed about all aspects of your organization administratively and fiscally through your duties of care, loyalty, and obedience. For example, when you leave your house each morning to go to work, you know that you hold a valid driver’s license, that you maintain liability insurance required by law, that your car has passed your state’s safety inspection, and that you have paid your state’s vehicle registration fees. If your organization arranges car pools to field trips, meetings, road games, etc., have you determined that all drivers involved have met these standards? Suppose the unthinkable happens and a student, member, or player is injured or killed in a traffic accident. Afterwards, you discover that the car pool driver’s license was suspended. Suppose a driver causes damage to others while on official organization business, yet does not have the required liability coverage. In these cases, plaintiffs might claim that you, as a board member, did not conduct due diligence and attempt to hold you personally liable for damages. It is your responsibility to attend meetings, review policies and meeting minutes, understand all financial statements and decisions, and at all times be actively involved in all management matters delegated to you and provide oversight of those matters delegated to others. Even though you are not the treasurer, you are still required to understand all financial matters. Even though you are not the secretary, you are still responsible for accuracy of meeting minutes and necessary filing of reports. Even though you are not the concessions chairperson, you must still demand that food service safety standards be met and that required state sales tax on concession sales be collected and paid to your state. Just because you are not receiving a paycheck does not mean that it is not a job. You are a board member of a corporation and required by law to serve in its best interest at all times. 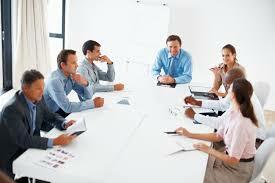 Most important, remember that a board of directors is a single entity, not a group of individuals. At the end of the day, the actions of the board are your actions whether you agreed with them or not. Serve your mission and protect yourself through your Duty of Care in daily management and stewardship. Ms. Mona, I have taken two of your classes in 2013 and would love to know if you have a schedule listed of your events? Hi. I have launched the Nonprofit Management Academy, a 2-day workshop covering nonprofit basics. Check it out at http://www.TexasNonprofitTraining.com.